If people are capable of running their own struggles and of fighting for themselves to meet their own needs then what is the point of an organisation like the Anarchist Federation? We are an organisation of conscious revolutionaries who see ourselves as working towards an anarchist communist revolution but, as we’ve made clear in this pamphlet, we don’t think that any revolution will be down to us. It will be the self activity of millions of working class people that makes the revolution, not the work of a handful of us with some nice ideas. We are not a revolutionary party that will lead the working class out of its ‘trade union consciousness’, out of reformism and into revolution. We are not the embryo of a workers’ council or a revolutionary union that will grow and grow until we eventually take over. We do not lead anyone, we do not act on behalf of anyone but ourselves. There are, however, some things that revolutionary organisations can do that would be far less likely to happen without them. 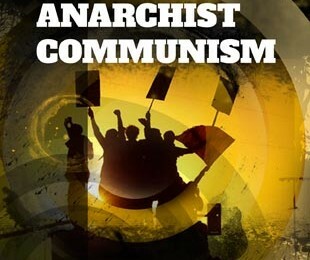 Anarchist communism is a living working class tradition, but there are times when that life hangs by a very thin thread. In periods of defeat and division, when the working class has few organisations of its own and there is very little struggle, something has to keep the lessons that have been learned alive. The revolutionary organisation is an important store of knowledge and skills. It is a kind of memory that keeps alive a vision of the working class as united and defiant even when the class has been kicked in the head so many times it’s starting to forget its own name, let alone its past. Members of a revolutionary organisation are also militants in their own right and intensely involved in struggles where they live and work. The ideas of anarchist communism spread not just through the words of our organisations but also through things that we do. Whatever we are involved in, we push for direct action and self organisation and resist takeover and co-option by authoritarian groups. Our membership of a broader organisation of revolutionaries gives us access to the experiences of our comrades and allows us to discuss and debate the issues and tactics of any particular struggle without having to worry about the basics. The high level of political agreement within a revolutionary organisation allows us to worry about the crucial details rather than having to make the same foundational arguments time and time again. It is in these two main ways – preserving and spreading the memory and lessons of previous struggles, and supporting committed but potentially isolated militants in day to day struggles – that a revolutionary organisation contributes towards a culture of resistance. The ideas of anarchist communism work. When we use them to fight, our chances of winning increase because these ideas empower us and show us our own strength rather than telling us to rely on some set of leaders or representatives. The revolutionary organisation is one important way of spreading those ideas, of putting them into action and using them to build a culture of resistance.